Second National Bank Vice President Todd Durham and President John Swallow present a check to Gathering at Garst committee member Katie Gabbard. GREENVILLE – Second National Bank has a long history of supporting many organizations, events and projects in the community. 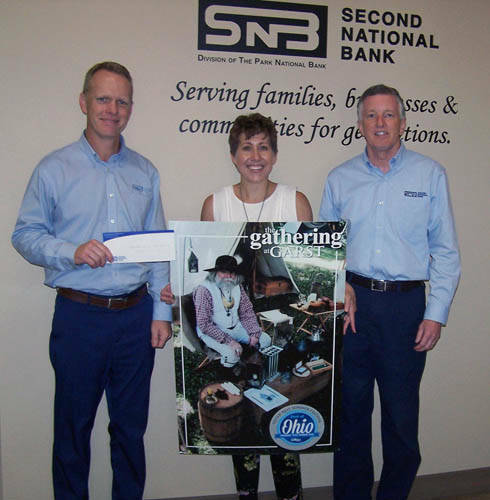 Garst Museum thanked Second National Bank for its continued support of The Gathering at Garst. This July, The Gathering at Garst drew approximately 15,000 people. With the generosity of sponsors like Second National Bank, the event continues to grow and bring visitors eager to learn about Darke County and its history.